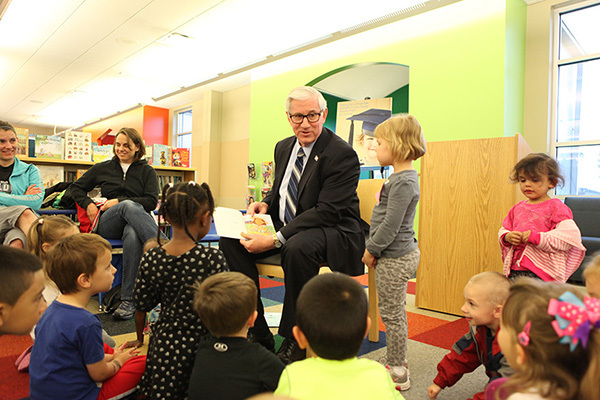 State Treasurer Don Stenberg reading to preschoolers at Eiseley Branch Library in Lincoln. Photos courtesy First National Bank of Omaha. 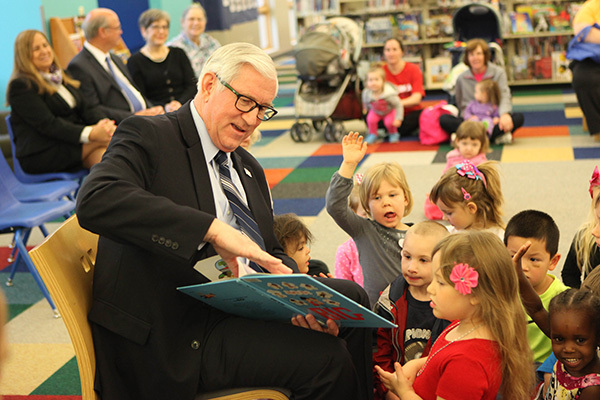 Nebraska’s 529 College Savings Plans (NEST), First National Bank of Omaha, Nebraska State Treasurer Don Stenberg and the Nebraska Library Commission announced today the NEST Read to Win $529! Drawing as part of library summer reading programs across the state. Almost $8,000 in NEST 529 College Savings scholarships and more than $3,700 in donations to libraries will be awarded. The announcement was made during preschool story time at Eiseley Branch Library in Lincoln. Fifteen summer readers, five in each of Nebraska’s three congressional districts, will be randomly drawn from those who complete a summer reading program. Each winner will receive $529 in a NEST college savings account. The library of each winner will receive a $250 donation. To enter, children must register for the summer reading program at their libraries and complete the program as defined by their libraries. Parents and children enjoy story time at Eiseley Library in Lincoln with State Treasurer Stenberg as a guest reader. 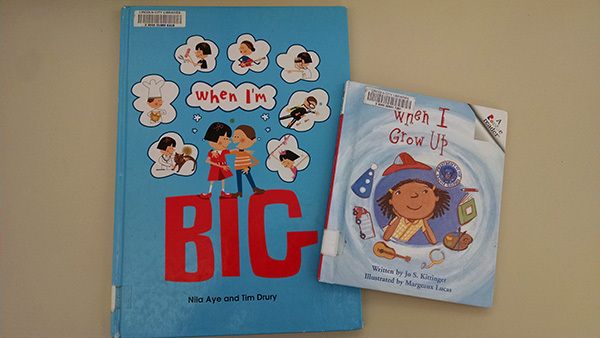 Here are the books Treasurer Stenberg read to the preschoolers encouraging them to dream about what they want to be when they grow up. Dreaming big and saving for those dreams is the theme of the Nebraska Educational Savings Trust (NEST), the state’s 529 college savings program. Winners will be drawn from the names of children who complete the summer reading program as submitted at the end of their programs by libraries throughout Nebraska. Winners will be announced during college savings month in September. For official scholarship rules, visit the NEST College Savings Plans at www.NEST529.com, the State Treasurer's Office at treasurer.nebraska.gov/csp/ or the Nebraska Library Commission at http://nlc.nebraska.gov. As Nebraska's state library agency, the Nebraska Library Commission is an advocate for the library and information needs of all Nebraskans. The mission of the Library Commission is statewide promotion, development, and coordination of library and information services-"bringing together people and information." Visit http://booksarejustthebeginning.com/ for more examples of how Books Are Just the Beginning at Nebraska libraries.